Due to human activity, environmental damage can dramatically reduce the number of plant and animal species. At the same time, after the ecosystem is polluted, how biodiversity is cured and how it has been cleaned, there is very little known about it. In the mid-1900s, Lake Constance (one of the largest freshwater lakes in Europe) was suffering from eutrophication, or nutrient pollution due to agricultural and wastewater running. 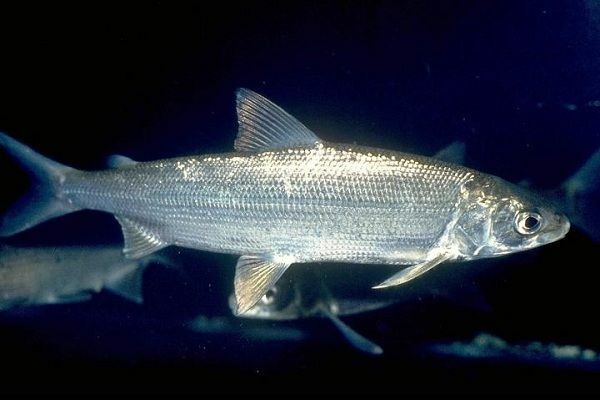 Recently, a study report has been published in the journal Nature Ecology and Evolution, that was conducted by universities in Konstanz and Glasgow (Scotland, UK), has now revealed that a European whitefish species have expanded their genetic diversity through hybridization with other white fish species during the eutrophication period. Once the ecosystem was recovered, the genetic mixture contributed to the expansion of biodiversity. The study led by Dr. Jasminca Behrmann Godel, a Konstanz-based biologist, Godel along with her colleague Dr. Kathryn R. Elmer from the University of Glasgow. Due to high nutrient pollution (eutrophication)), low water quality destroyed the natural habitats in Lake Constance and eliminated two of the five whitefish species, which are available in this lake as well as three remaining species that existed for hybridization and affected the commercial fishery in the lake. In the 1980s, attempts to reduce eutrophication rapidly reinstated the original state of Lake Constance. To examine the functional phenotypical and genomic differences of biological European whitefish (gang fish: Coregonus lavaretus, Macrophthalmus) in order to demonstrate Biologists tried to check those ecosystem nutrients that have been exposed within a short time after recovering from pollution. In less than ten generations, European Whitefish developed a wide variety of gill crackers - which are used to filter out Plankton with water - thus, it is capable of occupying a broad ecological place before the eutrophication. This is one of the fastest evolutionary rates recorded in the animal kingdom. It has been said in the study that this rapid expansion was possible with genetic variation developed as a result of hybridization during the period of eutrophication. Dr. Jasminca Behrmann-Godel said in her statement “This new diversity in European whitefish is variation within a species that does not replace the loss of biodiversity resulting from eutrophication". The results show that once the ecosystem is restored, functional diversity can be cured quickly. Researchers believe that this ability can depend on genetic architecture, evolutionary history, and ecological context. In the above section, we have reported only about Lake Constance and European whitefish species but many research map of ecosystems show that several countries have the world's uninhabited land area and these land areas require a global step to protect them. The first step is to identify the countries responsible for the existence of nature free from the activities of the world's heavy industries. Scientists call for an international goal to protect all remaining healthy ecosystems by 100 percent, which would preserve the Earth's weak ecosystem. The study generally excludes land areas in the Antarctic and the high seas that do not fall within national borders. Additionally, the scientists found that 77 percent of the land - with the exception of Antarctica - and 87 percent of the oceans had been changed by human intervention. The research showed graphically the remaining terrestrial land on the planet and looked at parts of the oceans that were free from the destructive effects of human activity.